Dr. Harshana Rambukwella is an academic with an interest in literary history, postcolonial theory and sociolinguistics. 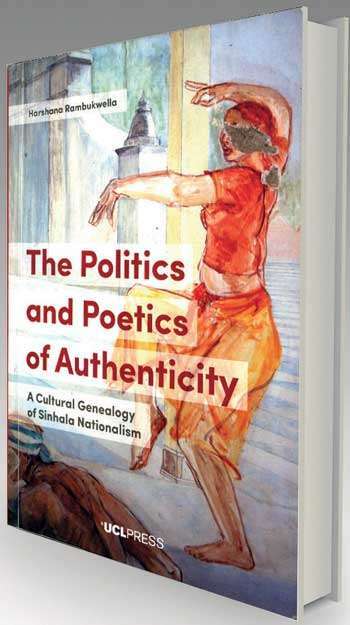 Bringing these disciplines together, he recently authoredthe book ‘The Politics and Poetics of Authenticity’ (UCL Press, 2018), whichexamines the unfoldingof Sinhala nationalism through the life and work ofAnagarika Dharmapala, S.W.R.D. Bandaranaike and Gunadasa Amarasekara. The book, which is now available in major bookstores, has been hailed for the “marshalling of sources available in the Sinhala language that are usually ignored in scholarly work on contemporary Sri Lanka,” (Prof. Jayadeva Uyangoda), and as a workthat “guides the reader with compassion through the cultural and political whirlwind of colonial and postcolonial Sri Lanka,” (Prof. NiraWickramasinghe). 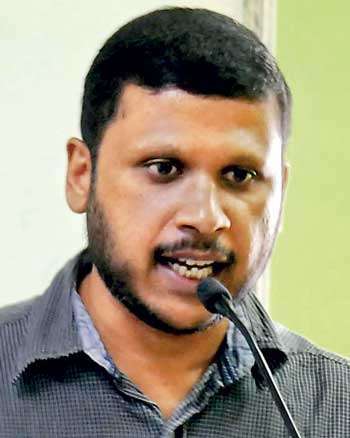 Dr.Rambukwella, who is the Director of the Post Graduate Institute for English at the Open University, and has served on many national English and Sinhala literary committees, spoke to Daily mirror on his book and theimpact of Sinhala nationalism on the political, social and cultural life of Sri Lanka. QLet’s begin with the book title. Why is it called ‘The politics and poetics of authenticity’? The title refers to the central theme of the book. It is primarily about why we think certain cultural practices are more authentic than others. How do such ideas come about?And what are the political implications of such notions of authenticity and what are the cultural and aesthetic implications of these notions as well?The poetics in the title refer to the second aspect of culture and aesthetics. Let me try and unpack this a little more. When we think something is authentic it gains a certain social and political value. We try to enshrine it, protect it and preserve it for posterity. We also begin to believe it is an inalienable part of our identity – of who and what we are.What the book tries to demonstrate is that these things we consider authentic – whether it’s music, art, the food we eat, how we dress, etc., – have specific and contingent histories. They are not timeless things we have inherited but the outcomes of various debates, trends and ideas that emerged at certain times in history – some more recent and others more distant. I also try to demonstrate how such notions of what is authentic and inauthentic have become part of nationalist politics. Because of this political dimension these are not just questions about individual taste or cultural preference, but questions with serious political implications. For instance, why do most of our politicians wearthe white ‘national dress’ though this is not something that existed before the 1920s? QReviewing your book, Prof. Sumathy Sivamohan wrote: “Authenticity is about belonging and simultaneously serves to unbelong others, those who are inauthentic.” Do you agree? Yes and no. Yes because the discourse of Sinhala authenticity I describe in the book is so tightly bound up with nationalist politics. It has become a discourse that demarcates what can belong, and what should not belong. But this does not have to be inevitable. I don’t think anyone or any society can live without some sense of authenticity.But when it becomes too narrowly defined it can become oppressive and stifling. The challenge is to retain a sense of authenticity that can be relatively open to change and influences from other cultures and societies. QIn discussing Sinhala nationalism, you stress on the notion of ‘apekama’ or ‘ourness’, and describe it as a type of cultural exceptionality that gained traction in post-independent Sri Lanka. Can you elaborate on this? The 1940s and 1950s was a period of rising nationalist consciousness in Sri Lanka – particularly Sinhala nationalist consciousness. Accompanying this was a cultural revival where the groundwork was laid for many modern artistic genres such as song, theatre, film and writing. It was a period of cultural innovation as well when writers such as Martin Wickramasinghe, dramatists such as Ediriweera Sarachchandra, and filmmakers like Lester James Peiris were seeking to establish a postcolonial idiom and identity for Sinhala cultural expression. The term most associated with this period is ‘desheeya’ or indigenous, which did not necessarily exclude the cultural practices of non-Sinhala Sri Lankans. But with the political changes of the 1950s, one sees ‘apekama’ gain a more explicit cultural and political value. Everyone from politicians to song writers become eager to establish themselves as representatives of this ‘apekama’.Increasingly it becomes a discourse which conceives authentic Sinhala identity narrowly and exclusively. 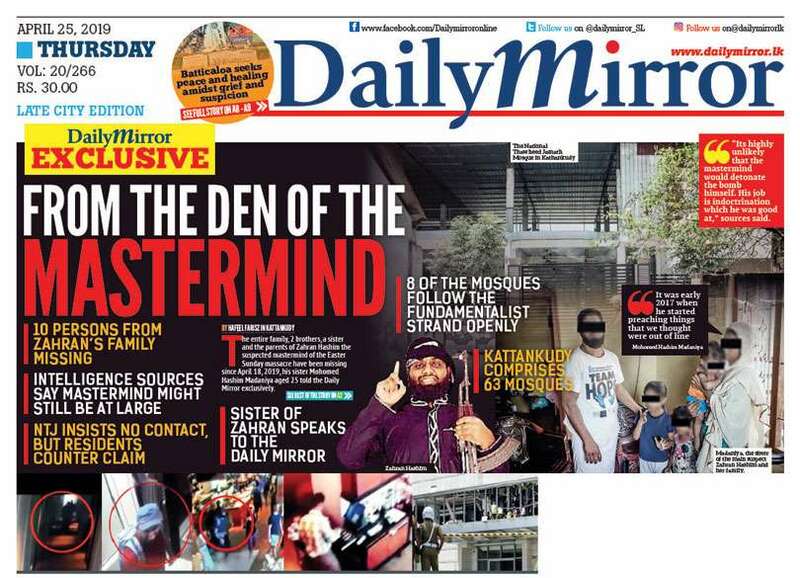 This kind of cultural nationalism, however, is not exceptional to Sri Lanka. One can see this in many parts of the post-colonial world where political independence is accompanied by a need to assert one’s cultural identity and there is a turn towards the revival of tradition. However, what I trace in the Sri Lankan context is how it becomes an institutionalized and punitive discourse that traps the political, societal and cultural imagination in an anachronistic frame – always looking back, rather than forward. QYour book focuses on the era from late 19th century to the new millennium. Why, in your view, is this period significant to the Sinhala identity? This is the period in which the nation-state establishes itself in Sri Lanka and also goes into crisis. It is in the late 19th to early 20th century that nationalist consciousness, as a felt presence, begins to enter all domains of society – religion, culture, the arts, etc. The 1950s mark the institutionalization of Sinhala nationalism, when policies are shaped by nationalist discourse.And then this trend continues into the 1980s, but is increasingly challenged by Tamil nationalism and its militant expression. I extend the story into the new millennium because the idea of authenticity or ‘apekama’ I trace in the book faces an existential crisis in the late 1980s, and alternative discourses begin to emerge. 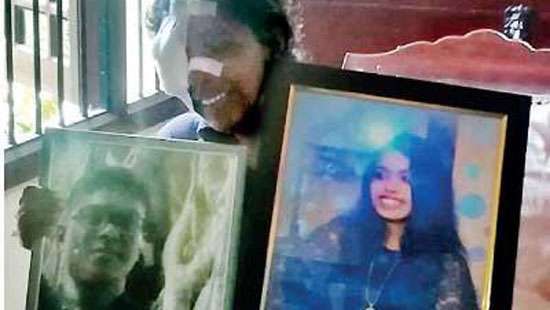 In the late 1980s the notion of a classical Sinhala culture based on the triad of ‘wewa-dagoba-ketha’ comes under increasing pressure as popular cultural forms begin to proliferate. This pressure is also brought on by the political manipulation and exploitation of ‘apekama’.In essence ‘apekama’begins to become increasingly commodified and loses its luster.It loses its authenticity, and therefore becomes more difficult to invoke, whether in a political or cultural sense. QYou examine the lives of three iconic Sinhala nationalist leaders, AnagarikaDharmapala, S. W. R. D. Bandaranaike and Gunadasa Amarasekara. What drew you to these three personalities in particular? I position Dharmapala and Bandaranaike as ‘father figures’ in the Sinhala nationalist narrative that I trace. This is not an arbitrary choice, because for Sinhala intellectuals like Gunadasa Amarasekara, these two figures represent important moments, or eras, in the rise of Sinhala nationalist consciousness. However, what I try to do in the book is to demonstrate that when we look at these people retrospectively we tend to romanticize them and reduce their historical complexity. There were many dimensions to their lives which we fail to see today because we have made them into one-dimensional ‘national heroes’. Amarasekara’s work brings together Dharmapala and Bandaranaike in a grand story about Sinhala nationalism, and it is therefore important for us to understand how and why these historical figures are so important to Sinhala nationalism. QYou refer to a ‘duality’ in Anagarika Dharmapala’s Buddhist activism, where he adopted a more universal approach abroad, and a more Sinhala-centric approach at home. How do you view this contrast in his activism? I think this is not unique to Dharmapala, but a feature of nationalism in the decolonizing world. As a person aware of how the world perceived our societies and cultures at the time, he is eager, through Buddhism, to connect to the world and to demonstrate how something that is a societal and cultural legacy of Sri Lanka can contribute to enlightenment in the world. But back at home the compulsions were different. Here Dharmapala wanted to build pride among the Sinhala people about their historical achievements and legacies and make them feel ashamed of their current situation --to spur them to modernize. I don’t think he saw the two approaches (abroad and at home) as contradictory.They were part of a single mission. By building Sinhala and Buddhist pride at home he could give the Sinhala nation a place in the world order as a country that bequeathed the legacy of Buddhism to the modern world. QBut in pursuing this mission, how did Dharmapala respond to other ethnic and religious groups in Sri Lanka? Dharmapala was either indifferent or at times openly hostile toward non-Sinhala and non-Buddhist groups in Sri Lanka. But one must realize that this was not on the same terms as today. For instance, when he spoke against Muslims it was largely the so called ‘Coast Moors’ or traders, who were relatively recent arrivals – not ‘Ceylon Moors’. Similarly, he almost exclusively critiqued Indian Tamils rather than Tamils who were well settled in Sri Lanka. He even criticized Sinhala Catholics and Christians at times, but he also included them in the Sinhala nation he envisioned. Often the problem is that we try to look at identities in the early 20th century through today’s divisions and categories. But how people saw each other at that time was quite different. QHow differently did people see each other back then? Can you give some examples? For instance, caste was more important than one’s ethnic identity. Goiygama people tended to identify with Vellala people rather than Karava or other Sinhala caste groups. These perceptions also had political implications because political alliances were formed along cast lines rather than on the basis of ethnic identities – particularly among the political elite. QRegarding S. W. R. D. Bandaranaike, how do you think his Oxford memoirs from the 1920s influenced his nationalist consciousness and political aspirations? I don’t think the memoirs influence his nationalist consciousness or politics directly. But they provide fascinating insights into his thinking at the time. What is most interesting about them is that politics and nationalism are hardly present, and his main concern as a young undergraduate at Oxford is to contest racism and to prove to himself and to his British peers that he is their equal. The memoirs reveal that he did not have a strong or principled anti-colonial stance at the time, but was eager to win the approval of his British peers. QWhy did Bandaranaike form the Sinhala Maha Sabha in 1936, and how did this influence his politics thereafter? Bandarnaike was one of the few elite politicians of his time to recognise the importance of projecting an ‘indigenous’ image. With the introduction of universal franchise in 1931along with the Donoughmore reforms, elite Sri Lankan politicians from all communities suddenly needed to appeal to the ‘masses’. One of the strategies they adopted was to indigenize their public image, and Bandaranaike was one of the earliest to do so. In fact, he along with others who converted to Buddhism at the time were called ‘Donoughmore Buddhists’ to suggest political opportunism.But my reading of his memoirs and other writings suggest that the conversion was out of personal belief rather than for political expediency. However, Bandaranaike was not able to retain control of this indigenization process. For instance, he wanted to change the name of the Sinhala Maha Sabha and make it more inclusive by renaming it Swadeshiya Maha Sabha (Great Association of the Indigenes), but Munidasa Cumaratunga defeated this motion. What is also interesting is that Bandaranaike, even after he formed the Sri Lanka Freedom Party in 1951after breaking away from the UNP, still supported parity of status for Sinhala and Tamil, and it was only very close to the 1956 election that he began to openly adopt a ‘Sinhala Only’ position. What this shows is that Bandaranaike’s affective relationship with some aspects of Sinhala nationalist thinking were at best guarded. However, he did publicly adopt Sinhala nationalism as his main political cause, because he saw that as the most effective political strategy to gain power. QYou write that 1956 marked the ‘institutionalization’ of Sinhala Buddhist nationalism. What do you mean by this? 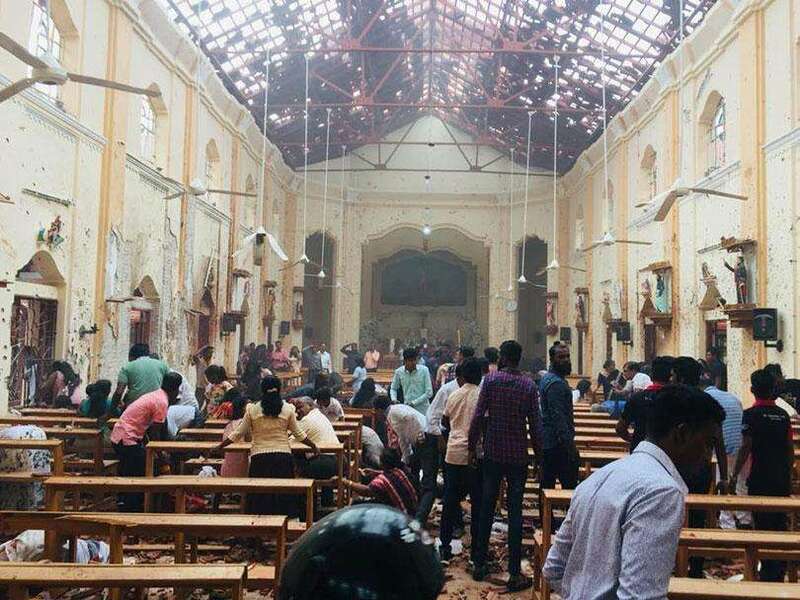 I mark this as a symbolic moment in the trajectory of the post-independence Sri Lankan nation-state because you see explicit policymaking targeted at benefitting the Sinhala majority at the expense of other communities. This is not to suggest that such a trend was not visible earlier. It is impossible to mark historical trends with such precision. But symbolically, 1956 and the making of Sinhala the sole official language do stand out as a watershed moments in the country’s political history. QMoving on to Gunadasa Amarasekara, you say his writings took a nationalistic turn in the 1960s, due (in part) to public criticism by Martin Wickramasinghe. What other factors led to Amarasekara’s shift in ideology? Amarasekara’s ‘turn’ is an interesting one. It cannot be read simply as a political one. It was also to do with aesthetic belief and practice. In his early phase,Amarasekara had a distinct avant-garde edge to his writing.But in the 1960s he abandons this trajectory in his prose fiction and turns to a more realist narrative style. Thematically also he begins to project the ‘wewa, dagoba, yaya’ kind of discourse more explicitly in his writing. You can’t read this simply as a political move – it is more an aesthetic and cultural choice, though politics may have implicitly shaped it. It is later in the 1970s and 1980s that his writing takes a more distinctly political edge. QYou highlight two texts by Amarasekara, namely Abuddassa Yugayak(A topsy-turvy time) (1976) and AnagarikaDharmapala Maaksvaadeeda? (Is Anagarika Dharmapala Marxist?) (1980). What do these writings tell us about Amarasekara as a cultural critique? Both these texts are significant attempts at a kind of post-colonial cultural and literary criticism. The beginnings of some of the ideas that later influenced the influential Jathika Chintanaya movement are also found in these texts. Both the texts try to critically explorehow a modern Sinhala nationalist intellectual project can be formulated, and in AbudassaYugayak in particular,Amarasekara discusses the role of literature in such a project. In the Dharmapala text,Amarasekara is building an argument for combining Buddhism and Marxism to formulate a modern political project. But later in his career he gives up this attempt at trying to infuse ‘western’ thinking with more ‘indigenous’ ideas,and begins to advocate a more nativist stance. QThe 1980s witnessed two tragic and violent events, the 1983 anti-Tamil pogrom and the 1987-89 JVP uprising. How did these events impact, or alter, the Sinhala nationalist discourse? The anti-Tamil pogrom resulted in intense international scrutiny of Sri Lanka. It also resulted in a lot of intellectual and scholarly work, produced both by Sri Lankans and overseas scholars, that began to look very critically at various aspects of Sinhala culture and society and tried to identify the roots of the present conflict in the past. Many Sinhala intellectuals were aware of this scholarly work, and felt the need to actively resist such interpretations of Sinhala society. A kind of explicit western antipathy and suspicion of critical scholarship develops out of this moment and continues to this day. As for the second JVP insurrection – it was deeply unsettling due to the threat it posed to the very existence of the nation-state. It also demonstrated the limits of the bourgeois nationalism represented by the ‘wewa, dagoba, yaya’ kind of discourse. Because in 1987-89 the JVP also took an explicitly Sinhala nationalist position, but were not necessarily aligned with bourgeois Sinhala nationalist thinking when it came to issues like culture and the economy. QMuch of the Sinhala identity has its essence in the village. But the last few decades has seen a trend of rural disintegration. Is the village losing its significance in the Sinhala nationalist imagination? I believe this is the case, and this is one of the central arguments in the book. The village for a long time and particularly since independence was seen as the repository of ‘apekama’ or authenticity. Even many of Sri Lanka’s post-independence economic and developmental policies were targeted at preserving various aspects of the Sinhala village. In film, song, poetry and writing we celebrated the village and its values. But by the 1980s this imagination could no longer be sustained. In a very real sense, villages began to disintegrate under the pressure of open economic policies, and at the same time the idea of a pure and pristine village where some kind of unchanging essence of Sinhala identity resides became untenable. The rise of popular culture and a market-oriented media culture also plays a big role in this change. QSri Lanka just experienced a constitutional crisis, and is now grappling with constitutional reform and upcoming national elections. What aspects of Sinhala nationalism do you anticipate being played out in these scenarios? I don’t think Sinhala nationalism has receded or is any less today. One can argue that it might even be more intense. What I argue in the book is that a certain story we told about ourselves and our identity is past its heyday. There are other stories now emerging that might one day replace this older story – but I will not attempt to detail that here, or to try and provide sociological or cultural predictions. My main contention is that the cultural content that informed Sinhala nationalism from independence has and is changing – this is not to say ‘apekama’has or will disappear. However, what we consider authentic may be very different in the years and decades to come. I think the main contention here is the notion of a unitary state. This notion is at least partly informed by our historical perception that Sri Lanka was one unified nation state in the past. For instance, in the Elara-Dutugemunu incident we see Dutugemunu as a unifier who united the divided Sri Lankan nation state. But what we forget is that the nation-state is a very modern 19th century phenomenon that emerged in Europe and through colonialism influenced and shaped our societies. In the precolonial past we had kingdoms, sometimes multiple kingdoms at the same time, which controlled the territory of Sri Lanka. This was not a modern nation state. Modern nation states use various instruments of governance to impose uniformity (not always successfully) on the populations they govern – for instance things like birth certificates, identity cards, passports, border control, etc. These things simply did not exist back then. This is not to suggest there was no idea of Sinhala identity or community but modern national consciousness simply did not exist.